Could Beijing be acting so aggressively toward other democratic nations? Could it be threatening Canada? Jonathan Manthorpe, citing the Australian example, argues convincingly that it is in his new book, Claws of the Panda: Beijing’s Campaign of Influence and Intimidation in Canada (Cormorant Books, 2019). This unsettling work could not have been better timed. As 2019 began, Canada was wrestling with the requested extradition of Huawei CFO Meng Wanzhou to the United States, and struggling to free Canadians held in China in retaliation for Meng’s arrest. Today, the need to see China clearly has become imperative. Manthorpe, a former foreign correspondent for Southam News, holds up a very uncomfortable lens. Claws of the Panda, he writes, is about “how the Communist Party of China is riding roughshod over Canadian values” and how “Canada has become a battleground on which the Chinese Communist Party seeks to terrorize, humiliate and neuter its opponents.” Our much-vaunted Canadian values will not change China; rather, it is changing us. It does this in many ways, hard and soft. For instance, all Chinese “friendship associations” in other countries are under the wing of the Chinese Communist Party (CCP), Manthorpe writes. The CCP regards even Chinese who are citizens of other countries “as potential fifth columnists.” China seeks to attain influence here through political party contributions; chummy relationships with Canadian politicians and policymakers; and countless freebie trips to Beijing and beyond for those it wishes to woo (one example is the $73,000 worth of free trips Beijing supplied to now ex-ambassador John McCallum earlier in his career). There is also considerable detail about the links China has established with Canada’s business class, which, eyeing potential profits, isn’t terribly concerned about such trifles as industrial espionage. Manthorpe has particularly harsh words for Canadian immigration policy, specifically the investor class program that was set into overdrive at the time of the Hong Kong handover from Britain to China in order to attract money as well as immigrants. Bribery and forged documents abounded, introducing a level of corruption that undermines Canada’s own rule of law. “The program was conceived with either such insouciance or else such crass disregard for its likely ramifications that it is a lasting stain on Canada’s reputation,” the author says. Two decades later, he continues, Canada is the money-laundering location of choice for CCP officials trying to hide their assets from their own government. Then there is the direct intimidation of perceived enemies, in this country and others. One individual example: Ottawa resident Lucy Zhou, a Falun Gong practitioner. Falun Gong is considered a grave threat by the Chinese regime, no matter where it is practised. Accordingly, Zhou received recorded phone calls in the middle of the night denouncing the religious movement. Some calls “blasted her with propaganda songs lauding the CCP and its leaders.” An anonymous Chinese-language caller seemed to know details of her travels. And there were sexual harassment calls. There are also attempts to use Canadians as spies. Consider Ottawa journalist Mark Bourrie, who briefly worked for the Xinhua news agency — an arm of the CCP — in Ottawa. At one point, he was instructed to discover the identities of anti-China protesters, but not for journalistic reasons. On another occasion, he reports, he was told to cover a press conference of the visiting Dalai Lama to do a report for his bosses, but not a news story. Bourrie didn’t stay. 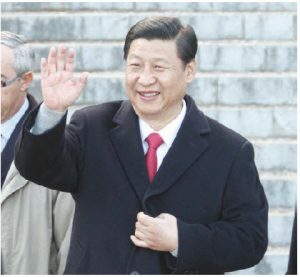 Over decades, the CCP has nurtured friendly relations with influential people — and used them to convince policymakers to approve actions in the interests of the CCP. Manthorpe singles out the story of Paul Lin, a highly influential Chinese-Canadian professor who opened doors in both directions for decades, consistently sympathetic to Communist Party needs, at least until the 1989 Tiananmen massacre. There are many perfectly legal ways to try to influence policymakers, of course, though China’s actions in this realm would put a run-of-the-mill Canadian lobbyist to shame. But other attempts at influence have been less benign. Such as education. By 2018, China had set up 12 “Confucius Institutes” (allegedly focused on teaching Chinese language and culture) in Canadian colleges and universities, and 35 “Confucius Classrooms” in Canadian high schools. However, Manthorpe tells us, “In most cases they are espionage outstations for Chinese embassies and consulates through which they control Chinese students, gather information on perceived enemies and intimidate dissidents.” He adds that at the time of his research, the overall chairman of these institutes was a high-ranking member of the CCP Politburo and former head of the shadowy United Front Work Department, which runs various foreign-country initiatives, from propaganda to recruiting of agents. In 2013, the Canadian Association of University Teachers (CAUT) warned that “Confucius Institutes are essentially political arms of the Chinese government. They restrict the free discussion of topics Chinese authorities deem controversial and should have no place on our campuses.” Yet many post-secondary institutions in this country ignored the warning: Universities and colleges need money, and China had bought influence on campus. At lower levels, school boards or districts could qualify for big-ticket items — in one case books worth $1 million — if they hosted certified Confucius Institutes. To understand why Beijing could so effectively gain influence in Canada, Manthorpe also offers the context of Canada’s early history with China, particularly the “missionary culture” — the hundreds of Canadians from various church groups who went to China starting in the 1880s. Several generations stayed right up to the Communist takeover in 1949. Fluent in Chinese language and culture, these “mish kids” later went on to important diplomatic roles in the Canadian government, bringing with them expertise and instinctive sympathy toward the CCP. Today, it is not clear exactly what Canada’s — or any democratic country’s — approach to China should be. What access should CCP-controlled companies such as Huawei have to Western technology? What ethical compromises must Western companies make to do business with Beijing? Australia, at least, has said this out loud. Canada’s leaders have not. Or not yet, anyway. While Jonathan Manthorpe sounds a warning about Asian superpower China, former prime minister Stephen Harper is focused on lessons from the other superpower, the United States, in his new book, Right Here Right Now: Politics and Leadership in the Age of Disruption (Signal, McClelland and Stewart). Harper isn’t an obvious candidate to be dissing trade deals or free markets. But he offers up a fair bit of criticism, targeting what he sees as a too-rigid devotion to capitalism, then concluding that this partially explains the rise of Donald Trump and other right-wing populists. Obviously, the former prime minister hasn’t suddenly abandoned his own laissez-faire ways; rather, he’s trying to work through why, when free trade and free markets have created so much global prosperity, many Western voters rejected politics as usual and embraced rogue leaders. Harper’s no fan of Trump, but in his eyes, if we don’t understand the president’s appeal, the rise of right-wing populism will be followed by far worse: populism of the left-wing variety. With that warning, he urges fellow Tories to identify what Trump understood about voters that the rest of the political class hasn’t. Then conservatives can get it right and save the world. 2) While free trade between countries is broadly positive, not everyone benefits from the efficiencies of that trade. Here, Harper picks up on Manthorpe’s themes, warning specifically about China, which is “not remotely a market economy in the Western sense.” Trump, he concludes, understands that trade deals sometimes hurt pockets of people even if the economy is growing. Liberals — elitists, in Harper-speak — do not. They are dogmatic globalists (he calls them “anywheres” because their privileged status means they could be at home anywhere) who don’t see the real impacts trade disruption can have on real, individual lives. 3) Immigration policy — including in Canada — needs an overhaul because it is no longer perceived as fair or in the best economic interests of ordinary workers. For Harper, “Immigration cannot be an exception to the principle that there be fair, firm and equitable enforcement of the law. Entering a country illegally is an inherent act of bad faith, no matter what its motivations.” Instinctively, Trump understood that people felt this way too, leading to his broad promise (now in some disarray) to build a wall. Harper doesn’t ridicule it. “A physical barrier to entry can be effective and may have its place. That said, we must understand that it alone will not remotely solve the problem.” Rather, fairness under the law, security, and the economic interests of the country should drive approaches to immigration, the former PM writes. Agree with Harper or not on his main points, he raises one that has a direct bearing on Canada’s 2019 federal election: that real policy debate is needed on such complicated and contentious issues. The Liberal-left, he argues, has already declared itself in the right and simply denounces dissenters rather than confronting their arguments. I’d argue that the countering tactics of many of Canada’s conservatives are also just as much about point-scoring; neither group truly encourages thoughtful debate on policy. But those on the right, at least, have good reason to respect Harper’s insight. Populism is not going away anytime soon. Among the many stories Michelle Obama tells about her childhood in the working-class south side of Chicago, one sums up the theme of Becoming (Crown Publishing Group, 2018) — a fully worthwhile autobiography. In it, the mother of then-Grade 2 student Michelle Robinson, realizing that her gifted young daughter is languishing among unruly kids in a grim, basement classroom of the local school, quietly lobbies to redirect the class’s high-performing children into a Grade 3 class with a no-nonsense teacher who knows her stuff and nurtures her students. That simple act of parental resolve quite likely set the course of Michelle Obama’s life. It probably set the course for the unruly kids who stayed in the basement classroom with an incompetent teacher, too. She writes, decades later, “It was a small, but life-changing move … Now that I’m an adult, I realize that kids know at a very young age when they’re being devalued, when adults aren’t investing enough to help them learn.” Her parents, happily, would support her throughout their lives. Much of the rest of this engaging memoir returns to this theme of early expectations and support. Sure, Michelle Robinson meets and marries the future president of the United States (who, she reports, shows up late for their first meeting, at a law firm); and sure, her recounting of life as the president’s spouse is entertaining to read. But in writing this book, Michelle Obama has something wider in mind than simply sharing colourful stories from eight years at the White House. Mind you, there is lots and lots of White House colour — from the number of bathrooms at the official residence; to the Monet painting outside the First Lady’s bedroom; to how White House staff constantly vary their shopping habits so no outsider can plot to poison the president’s food — but this book is mostly an ode to every mother (black or white) who has tried to instil in their kids a belief in themselves and their future. It is in particular a message to African Americans that they can break through the constricting social expectations their country has defined for them over centuries. We learn early that Michelle Obama does not like politics. At almost every turn when husband Barack wants to run for office, she’s a reluctant supporter at best. Her reasons are interesting: Having grown up in a working-class family, she strives for an orderly, professional progression — becoming an academic over-achiever early, making it into Princeton University, graduating to be a lawyer at a prestigious firm. Her mother’s advice: “Make the money first and worry about your happiness later.” She does not take well to disruption. Still, his formidable intellect, huge social conscience and ability to take life’s blows in stride attract her, and eventually she quits law to join him in taking on professional roles helping those less privileged. Given that the Obamas are both trained lawyers, it is interesting to read that Michelle often fretted about how they would pay the bills. She is also open about tragedies, such as the death of a close friend at a young age, her own miscarriage and the couple’s frustrating, but ultimately successful, use of In Vitro Fertilization to conceive. Politics was stressful for the Obama family, and Michelle worried about what would happen if her husband ran for the presidency. “What I hoped was that at some point Barack himself would put an end to the speculation, declaring himself out of contention … But he didn’t do this. He wouldn’t do this. He wanted to run. He wanted it and I didn’t.” Ultimately, she supported him — hiding her misgivings behind the belief that he wouldn’t win. By the time he did, however, Michelle Obama had already begun to think about her role as First Lady. Michelle Obama had seen plenty of poor and disadvantaged kids, and decided to start modestly: with a vegetable garden at the White House to help her publicly advocate for fresh and nutritious food for kids. Over the years, she expanded this, inviting school kids in to do the planting and working on ways to widen public awareness around nutrition and public health. Michelle Obama recounts many instances, some inspiring, some heartbreaking, of her attempts to bolster the young and change cultural expectations, and in this way paints a more complete picture of the true accomplishments of Team Obama. Whatever the president may or may not have succeeded in doing politically, his wife worked just as hard to accomplish culturally and educationally. That’s really the essence of the book. One hopes, and expects, that Michelle Obama will continue this essential work. The journalist and the pollster team up (again) to challenge a core assumption of our times: that the world’s population will continue to grow, fouling its planetary nest more and more. Revisiting statistics and trends, they conclude, however, that the number of humans will actually shrink, starting around 2050. Much of this has to do with urbanization, the education of women and a drop in the need for larger families. And while our dwindling numbers will have disruptive effects — worker shortages, fewer people supporting social programs and so on — they can also bring benefits, including a recovering environment. A bit of under-appreciated Canadian history with a worldwide impact is vividly captured in this retelling of the sinking of the steamboat Caroline (used by insurgents during the Rebellion of 1837 in Upper Canada) as she lay moored in American territory. In addition to its compelling narrative, it’s an examination of the principle of “anticipatory self-defence” as a potential reason — or rationalization — for launching a pre-emptive attack. Christina Spencer is the editorial pages editor of the Ottawa Citizen. She holds a master’s from the Norman Paterson School of International Affairs at Carleton University, and is a past winner of National Newspaper Awards for international reporting and for editorial writing. Christina Spencer is the editorial pages editor of the Ottawa Citizen and the inaugural recipient of the Claude Ryan Award for Editorial Writing at the 2017 National Newspaper Awards. She holds a master's in international affairs from the Norman Paterson School of International Affairs at Carleton University.